Say a prayer for Benedicat, author of the blog Catholic Tradition. He has just sent off an application for the Seminary of the Institute of Christ the King Sovereign Priest. 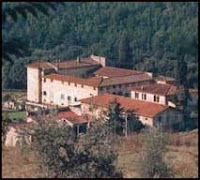 He went on a visit to Gricigliano in February and has an interesting post describing the daily timetable at the seminary.